Are you looking for the golden opportunities, to work or live in Australia? Well, to get you started on your mazing overseas journey to the land Down Under, it is really vital to follow a step-by-step guide meant for the people, looking to migrate to the wonderful destination. Let’s discuss more about immigration to Australia. The good news is that the Australian Department of Immigration and Border Protection (DIBP)–the organization governing the visa and affairs for the country–offers more than 100 types of permits to the foreigners looking to present a petition, for the object of immigration to the famous hotspot. Whether you have already started with your Australia PR immigration Visa process, or are still looking to learn more about it, this article will help you understand how to apply for immigration to Australia rather easily, so that you do not face any issues or difficulties and your journey becomes simpler. To begin with, every migration procedure to the nation is duly administered by ‘SkillSelect’–a wonderful initiative which facilitates easy immigration to Australia. After gathering the primary data, related to the immigration procedure, you will be required to submit an ‘Expression of Interest’ (EOI), to initiate the application process. Also, based on the type of the specific immigration visa you are applying for, you will be required to suitably check and explore the official website for the nation, namely, the DIBP website. If you plan to migrate under the SkillSelect Programme, it is imperative to first know whether your skill is in demand whilst also appearing for an IELTS/TOEFL exam as a pre-requisite, to prove your proficiency or skills in the English language skills, before applying for a visa for immigration to the country. If you are wondering how to move to Down Under and have a relative already residing there in, then you can migrate if they sponsor your visit as a non-dependent child, sibling, parent or relative. Alternatively, the government of Oz can also sponsor your visit, in lieu with the shortage of a skill in their country, which is possessed by you. Another sure-fire way to land your feet in the Australian soil is to obtain a Business Visa by investing in a business or company in the nation. You can immigrate as a business owner, senior executive, investor or entrepreneur. If your spouse, fiancé or partner holds citizenship of the nation, or is a permanent citizen of the country, then you can also successfully submit an application for a Partner visa to join them there in. 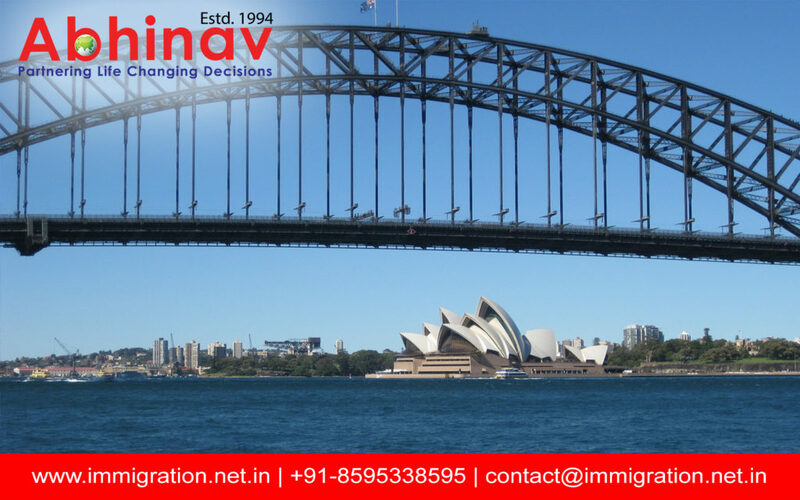 Want to know more about immigration to Australia, Contact me at mustaqali@abhinav.com.